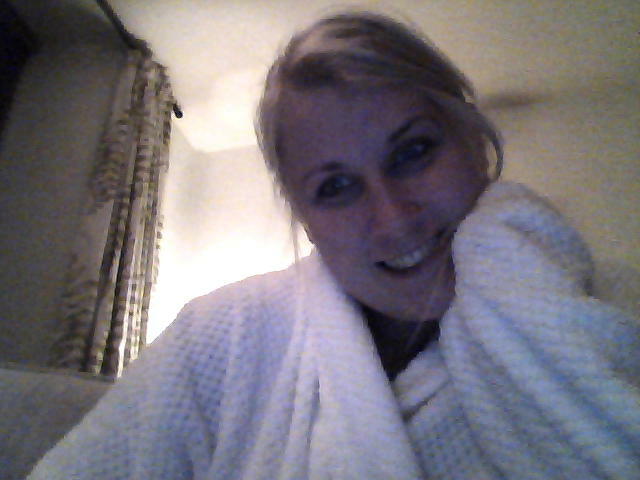 The big cosy robe is one and I'm drinking a large glass of red. Happy Friday! Early start for me tomorrow, at the hairdresser 8.30 for colour, highlights, cut and blow.